“Eat more fiber” and “drink more water” are the two pieces of advice everyone always gets for constipation – and it’s true that those things can be helpful. That might even be good advice for the two people who are still living under a rock in the Gobi desert and haven’t heard the “fiber and water” line before. But a lot of well-hydrated salad-eaters are still constipated. Evidence actually shows that “eat more fiber” doesn’t help for every type of constipation – in fact, for some people, certain types of fiber can actually make digestive symptoms worse. Also, if you’re eating any kind of non-processed diet, it’s incredibly easy to get enough fiber – yes, even on keto. So here’s a look at 4 lesser-known causes of constipation that can still affect people even on a Paleo or keto diet – and how to address them within a Paleo/keto framework. A lot of medications are well-known for causing constipation – opioids are a famous example – but did you know that some dietary supplements can also slow down digestive transit and stop the system up a bit? Iron supplements, particularly non-heme iron and high-dose supplements, cause constipation in many (but not all) people who take them. Calcium supplements – in studies like this one and this one, calcium supplements increase the rate of constipation and other gastrointestinal side effects among people who take them. Tasty calcium, no supplements or dairy required! Unfortunately, calcium and iron are two very common supplements, especially for women. To minimize the effects, some of the studies above suggested that taking iron supplements with food and using slow-release formulas may be helpful. For calcium, taking a calcium-magnesium supplement or otherwise adding magnesium may be helpful. 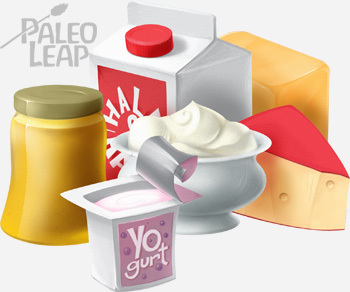 For folks taking a Paleo/keto approach, there are also plenty of food sources of calcium – even without dairy! 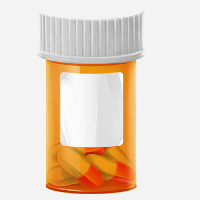 One more common medication that affects digestive function is ibuprofen, and other drugs in the same group of non-steroidal anti-inflammatory drugs (NSAIDs). NSAIDs really damage the gut – they aren’t necessarily good for you just because the name says “anti-inflammatory!” A review of chronic constipation and painkillers found that use of NSAIDs was significantly associated with constipation, even after people with Irritable Bowel Syndrome were excluded. And another review found that constipation was among the more common reasons for stopping NSAID treatment. If you’re never without a bottle of painkillers at your elbow, it might be worth considering that as a factor in any digestive issues. High and uncontrolled blood sugar quite often causes constipation in people with both Type 1 and Type 2 diabetes. As this study explains, there are a lot of reasons for that, but one of the main ones is a problem called diabetic autonomic neuropathy. Autonomic neuropathy is damage to the nerves that coordinate a lot of the involuntary (autonomic) functions in your body – including the muscle contractions that move food through the digestive system. You don’t necessarily feel these muscles working, but they’re really critical to keeping everything moving. 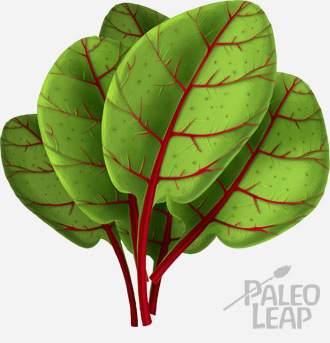 Paleo or keto diets tend to be great for blood sugar control – here’s more, for the curious. But for people who are coming to Paleo/keto with a history of blood sugar problems, this is definitely an issue worth considering. Symptoms of depression and anxiety are strongly connected to gastrointestinal problems, including constipation, in the general population (aka not just people diagnosed with some kind of gastrointestinal disease). That doesn’t necessarily mean that depression or anxiety cause constipation – it could very well be the other way around. But this study concluded that mood disorders probably do cause changes in gastrointestinal transit. Another study also suggested that mood disorders may contribute to the development of constipation and other GI symptoms. And many patients with functional gastrointestinal disorders are diagnosed with mood or anxiety disorders first and then seek treatment for their digestive issues. Even in people who don’t have any diagnosis of anxiety, stress can really mess up digestive function. We’ve already covered how stress can cause gastrointestinal pain, but the hormonal changes involved in chronic stress can also affect processes like gut motility and the way water gets drawn into the digestive tract. Of course, there’s also plenty of evidence that it works the other way around, too – gastrointestinal symptoms can affect brain function and mental health. It’s just an awful vicious cycle of mood symptoms and gut problems. As for addressing this – anyone with mental health concerns should see a counselor. And the link between stress and constipation really highlights that Paleo is about more than food and exercise. The “lifestyle” part of “diet and lifestyle” includes regular rest, enough sleep, stress management, sleep hygiene, and generally prioritizing renewal and rest over constant busy-ness. Think of a food allergy and what’s your mental image? Probably someone struggling to breathe, wheezing and grabbing around for their epi-pen after accidentally eating something with peanuts. But as this study details, food allergies and intolerances can actually show up in all kinds of ways – and in some cases, a primary symptom may be constipation. People with these allergies may not even consider a food allergy as the cause of their problem, because they don’t have any of the traditional or stereotypical symptoms – hence the “hidden” nature of the allergy. It’s hiding in plain sight, just where you’d never expect to see it! Hypersensitivity to cow’s milk protein is a biggie here – this study found that many children with otherwise inexplicable constipation are actually reacting to dairy, and that dairy elimination diets resolved the problem in many cases. Multiple food intolerance is also a possibility – this study on patients with chronic constipation found that, of 52 patients, 24 got better with elimination of cow’s milk, while 6 had multiple food intolerances that required more complex elimination diets. Intolerance to fructose or to FODMAPs carbohydrates generally can also cause constipation – but we’ve covered that in detail in previous articles (fructose here; FODMAPs here). What’s worked for you in managing constipation? Eliminating a particular food? Regular exercise? Stress management tips? Let us know on Facebook or Twitter!